Valence electrons: The number of valence electrons in a period increase from 1 to 8 on going from left to right in a period. It is so because the atomic number of the elements increase by 1 in comparison to the preceding element on going from left to right. Valency: Valency also varies on going from left to right in a period. The valencies of group IA, II A and III A are +1, +2 and +3 respectively but the valencies of group VA, VIA and VII A are -3, -2 and -1 respectively. The valency of group IVA is =4 or -4. And group Zero has no valency. Atomic size: On going from left to right in a period, atomic size decreases. 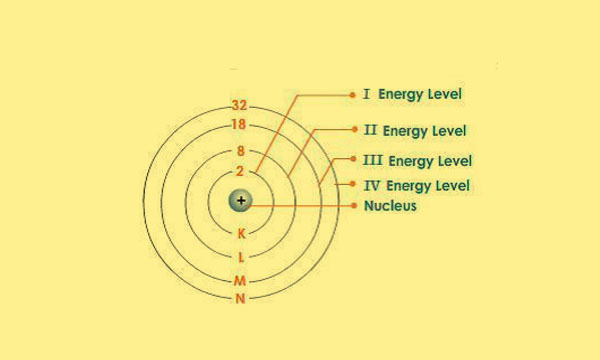 It is so because along with electron, the number of proton in nucleus also increases on going from left to right which holds the outer electron so forcibly which decreases atomic size. Ionization energy:On going from left to right in a period,theionization energy increases as the outer electrons are held tightly by nucleus on going from left to right. Metallic characters: The metallic characters decreases on going from left to right. Electropositivity: The capacity of losing electrons decreases on going from left to right in a period. So, the electropositivity also decreases on going from left to right. 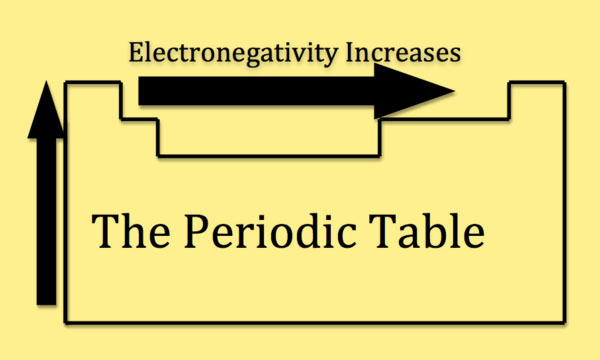 Electronegativity: The capacity of gaining electrons increases as we go from left to right in a period. So, the electronegativity also increases as we go from left to right. The systematic distribution of electrons in different shells of an atom is known as electronic configuration. 2n2 rule explains the distribution of electrons in different shells of an atom. The shells of an atom are named as K, L, M and N.
For L shell, n=2, so 2×22=8, so, it can hold 8 electrons. For M shell, n=3, so 2×32=18, so, it can hold 18 electrons. FOR N shell, n=4, so,2×42=32, so it can hold 32 electrons. But, according to duplet and octet rule, K-shell can hold maximum 2 electrons and the other shells can hold 8 electrons. So, to overcome the contradiction, between 2n2rule and duplet and octet rule, the concept of sub shell is introduced. According to this concept, different shell has their sub shell named as s, p, d and f sub shell and they can hold 2,6,10 and 14 electrons respectively. Valence electrons, valency, atomic size, ionization of energy, metallic characters, electropositivity, etc. are the characteristics of periods. The number of valence electrons in a period increase from 1 to 8 on going from left to right in a period. The capacity of losing electrons decreases on going from left to right in a period. So, the electropositivity also decreases on going from left to right. The capacity of gaining electrons increases as we go from left to right in a period. So, the electronegativity also increases as we go from left to right. Why are elements of group IA called alkali metals? These metals are soluble in water and form metallic hydroxides and evolve hydrogen gas. These hydroxide are called alkalis. Therefore the elements of group IA are called alkali metals. Give reasons why Sodium is an active metal. Sodium has one valence electron. Therefore, it has tendency to lose its valence electron during chemical reaction to be octet. So, it is called active metal. Write name of two most reactive non-metals. Name the most reactive metal. The Neon (Ne) and Argon (Ar) are the inert elements. What is elecronegativity? Which is the most electronegative element? The horizontal rows of periodic table are called periods. 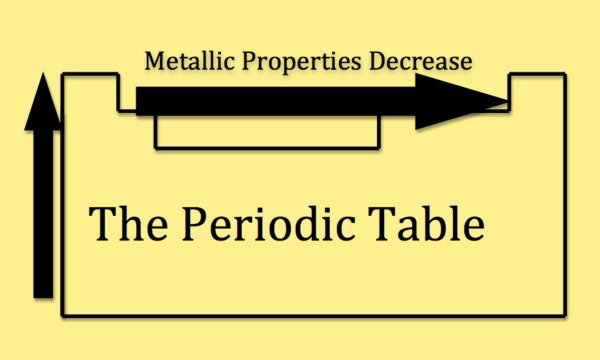 What differences in the metallic properties of elements are observed on passing from left to right hand side of the modern form of periodic table? On moving left to right along the period the metallic character goes on decreasing and non-metallic character goes on increasing. On moving from left to right in periodic table the electronegativity ______. On moving from left to right in periodic table the atomic size ______. D shell of electronic configuration can hold _______. The first ionization energy of an element is 736 kJ per mole of atoms. An atom of this element in the ground state has a total of how many valence electrons? Which one of the following statement about s orbitals is correct ? The electronic configuration of an atom with atomic number 8 is ______. The order of filling orbitals is ______. Any Questions on 'Characteristics of a Period '?